Bitcoin’s eye-popping return to $5,000, its highest level in over five months, sent financial media and analysts into a tizzy Tuesday morning as they attempted to unearth the catalyst. The theory that picked up the most steam was that the rally was tied to an April Fools’ Day piece penned by Rachel McIntosh at Finance Magnates. The faux report, which went out almost an entire day before bitcoin’s climb began, claimed the Securities and Exchange Commission approved the elusive crypto exchange-traded fund. “April Fools’ joke may have been the trigger for the cryptocurrency rally,” Bloomberg reported Tuesday morning. A closer examination of last night’s green candles reveal that this upward spike in the price of the world’s largest digital asset is no joke. First, let’s start with the fundamentals. Last year was complicated for digital assets. The long-awaited institutional capital for the most part sat on the sidelines and much-hyped trading operations — from Goldman Sachs’ bitcoin trading desk to Bakkt’s futures platform — have yet to fully come to fruition. And the market for initial coin offerings essentially vanished. Still, momentum in the market has shifted as of late with a number of initial exchange offerings, token raises sponsored by crypto exchanges, taking the market by storm. Moments ago, VeriBlock wrapped up its IEO on U.S.-based Bittrex in 10 seconds, according to a tweet. Huobi and Binance have in recent weeks rolled out their own IEO platforms, selling tens of millions of dollars worth of new token issuances. Indeed, The Block research analyst, Matteo Leibowitz, commented on the IEO phenomenon’s ability to spark a shift in market sentiment early last month. The big move took place overnight, gapping up in a market with thin liquidity where shorts were liquidated and various brokers were hedged on short gamma positions. BitMEX saw huge liquidations on levered shorts amounting to $500 million, and as with many rallies in the 2017 market, many altcoins lagged BTC as market participants tried to catch BTC’s price momentum. Tether inflows saw a spike as it briefly traded at a slight premium ($1.03) to its $1 redemption value, a signal that traders were likely looking for a haven from last night’s volatility. The short-term market rally was precipitated by large moves up in other high-beta assets such as LTC and BNB which made local and all-time highs in recent months. Looking at technicals, we saw bitcoin last night break its 200 daily moving average, a technical indicator that shows a particular asset is on a bullish trajectory. 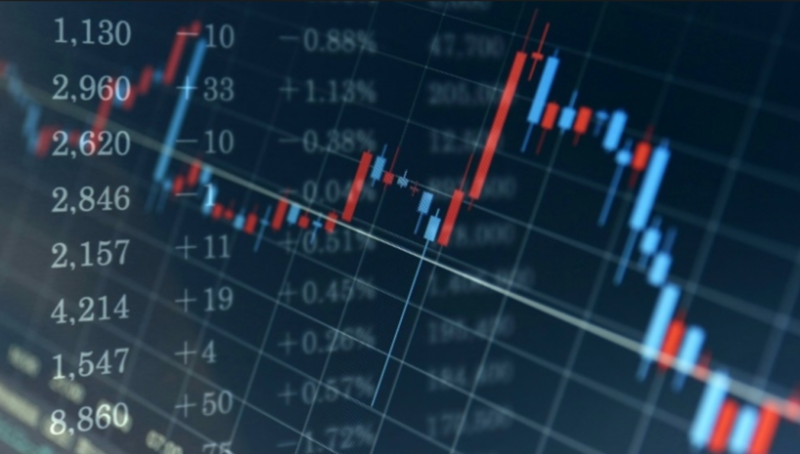 At the same time, the market observers saw a bullish signal pop up on other markets which could indicate cross-asset fund flows as traders rotate into risk assets. The so-called Golden Cross was triggered for the first time since 2016, as Reuters noted, fueling bullish price action in U.S. equities as well as emerging markets with the iShares MSCI Emerging Markets Index rallying 1.65%. Furthermore, trading volumes over the past month have been steadily picking up, providing a much-needed sigh of relief to cryptocurrency exchanges. Volumes have continued apace since last night even as bitcoin’s price has stabilized, further indicating strength in this rally. At last check, turnover across crypto exchanges was up from $44 billion overnight to $63 billion, according to CoinMarketCap data. That’s about five times higher than the beginning of the year. At the same time, bears have been losing steam — at least that’s the perspective of two large over-the-counter trading desks. “Over the last few weeks, some degree of complacency and dealer positioning (short vol carry positions) had left the market vulnerable to an explosive upside move,” Galaxy Digital, Mike Novogratz’s crypto merchant bank, wrote in a note to clients. The rally has also seen the return of noted pseudonymous cryptocurrency traders like Parabolic Trav after a many-month hiatus, which many market participants view as a signal that we may have seen the worst of crypto winter. With contributions from Matteo Leibowitz and Arjun Balaji.